Our goal is to create a nurturing, supportive learning environment where disadvantaged youngsters can learn job-specific vocational skills and the personal tools to overcome their challenges. 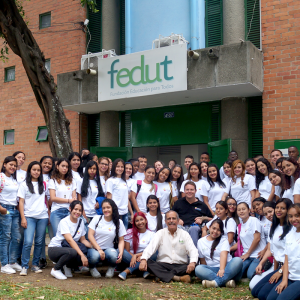 Together with our partner charity in Colombia FEDUT we provide our students with the professional training they need to obtain gainful employment. Our vision is to be a nongovernmental, not for profit organisation, free from political or religious bias, internationally respected as a comprehensive, highly effective and adaptive model for wholesome child & youth development. Our mission is to contribute to the personal and professional development of underprivileged children and young people living in poverty or disadvantaged circumstances, with a focus on employment training and life skills coaching as a means to increase employment potential and the possibility of achieving a more fulfilling and productive life. We design our courses to meet the demands of the local job market. • Honesty – transparency and accountability from all parties in all matters and activities. • Responsibility – understanding of and commitment to carry out all duties to the best of our ability at all times. • Productivity – all activities conducted in accordance with and towards the fulfilment of our vision. • Respect – from and between all participants, both staff and children involved in all projects at all times. • Solidarity – the pledge of unconditional support for all children involved in DEF projects. • Courage – the ability and belief to face challenges and the confidence to make bold decisions under adverse circumstances. We recognise that in order to carry out our aims most effectively it is important to be able to rely on local knowledge and experience. For that reason one of our principal strategies has been to identify and form alliances with respected and trustworthy service delivery partners with shared visions and objectives. Since 1996 FEDUT has been successfully supporting children from some of the most marginalised urban communities in Cali. As well as sponsoring them through their primary and secondary schooling they also run vocational and technical training schemes for youngsters from marginalised urban communities who leave school with no opportunity to enter into further education. Together with FEDUT we have trained over 400 young people as junior accountants, and more recently as marketing and sales assistants, which are currently amongst the most in-demand professions in the region. Each course trains 30 young people who have passed through a stringent selection process and includes modules on: IT and relevant software packages, ‘How to create your own business’, essential life skills and values, as well as a personalised mentorship programme for each student. The course is designed to give them the necessary skills to start working in a semi-professional role in a reputable local company. The eight month-programme comprises of a four-month theoretical phase followed by three-month internship carried out under the tutorship of a designated representative in a local firm. Our ultimate aim is that the student stays on in the company where he or she carried out their internship, in a full-time role, as a salaried employee. Since our alliance with FEDUT began in 2012 over 400 young people from impoverished backgrounds have been through our job training programmes, half of whom are still in gainful employment in a related field. We are currently running our 12th, 13th and 14th courses together, training 90 students simultaneously. You can read detailed information about Dan’s field trips to Colombia in Dan’s Blog and see photos in the Gallery section of the site. 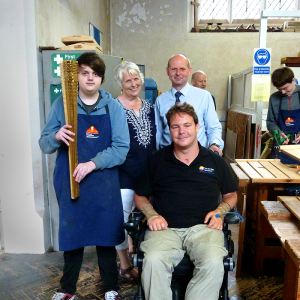 In addition to our work in Colombia we support a UK-based skills training charity called in Godalming, Surrey called Skillway. Since 2012 we have been providing bursaries for students to undergo two year ‘masterclass’ course in their chosen craft/trade. In 2016 we launched our ‘Fresh Start’ programme in conjunction with Surrey Youth Support Services in order to help some of the most disadvantaged young people in the southwest Surrey area. Together we identify youngsters most in need and provide them with the equipment and support services they need help them access education and/or training and ultimately employment. We want to give these youngsters practical help to enable them to take that first step in turning their life around. Funds raised towards the programme are spent on items such as: suits and/or shoes for job interviews, refurbished laptops so they can work and learn at home, a basic mobile phone, a bicycle to get to training centres or a job interviews, and in some cases towards their Duke of Edinburgh award program. 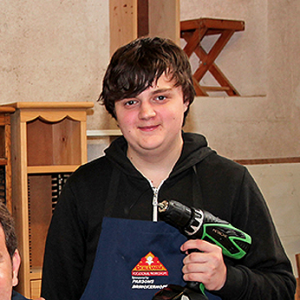 Over the last year we helped nearly 40 youngsters in the southwest Surrey area obtain the equipment/services they most needed to help them get back in to education, training and/or ultimately employment. In 2017 will be expanding our remit to include homeless young people in response to the sharp rise of homelessness in the UK. Often these youngsters are from broken families and they have been left behind by the conventional academic system.